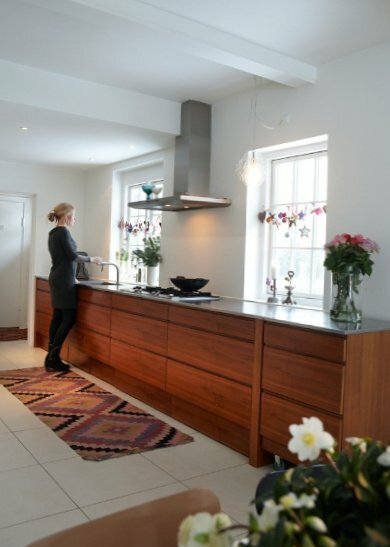 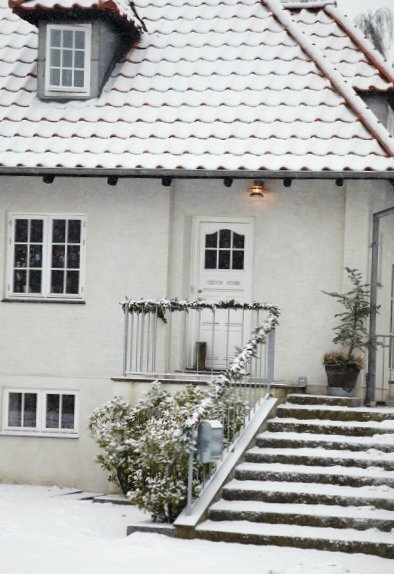 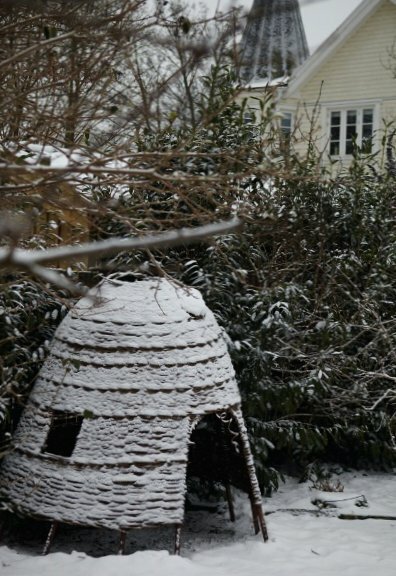 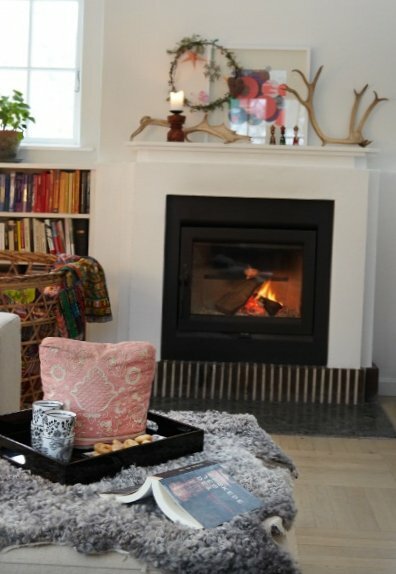 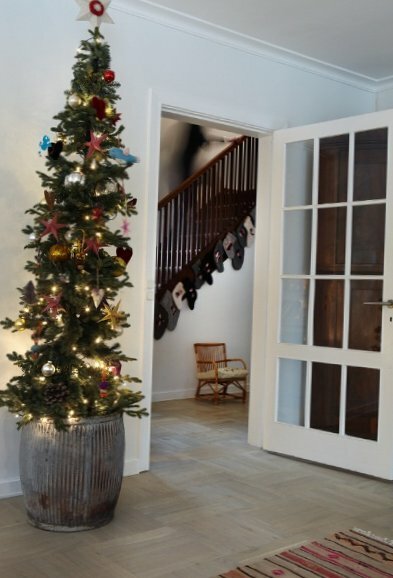 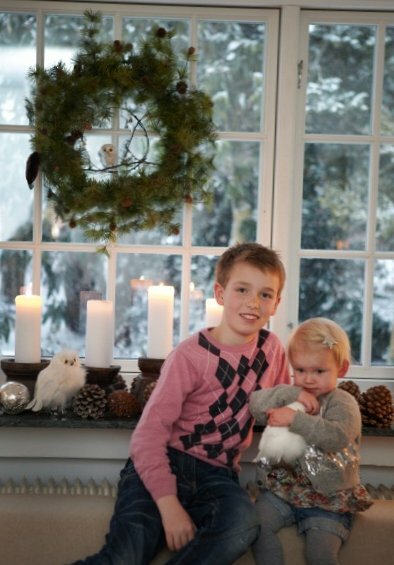 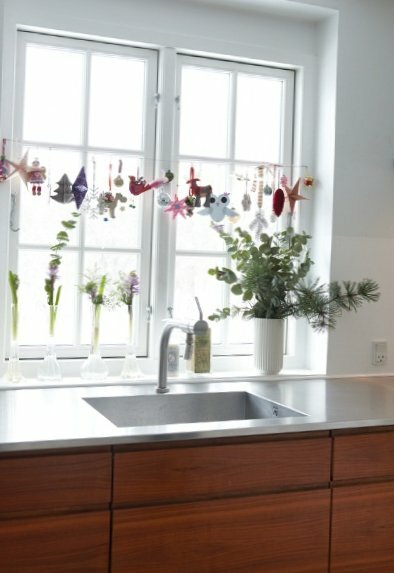 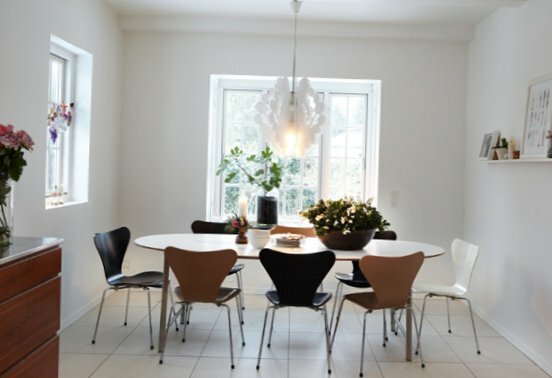 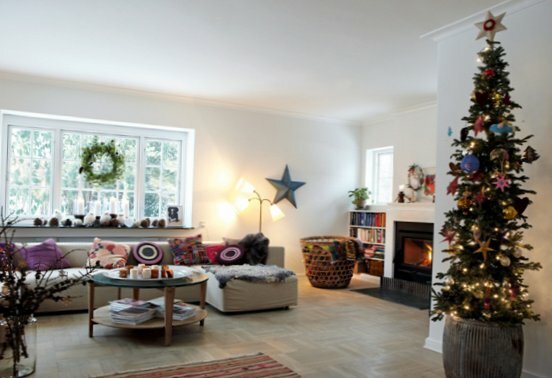 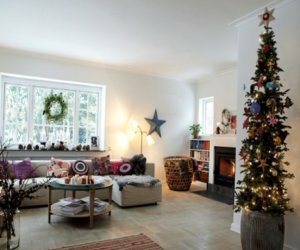 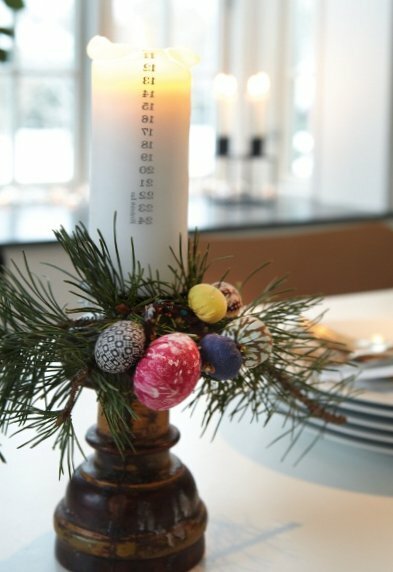 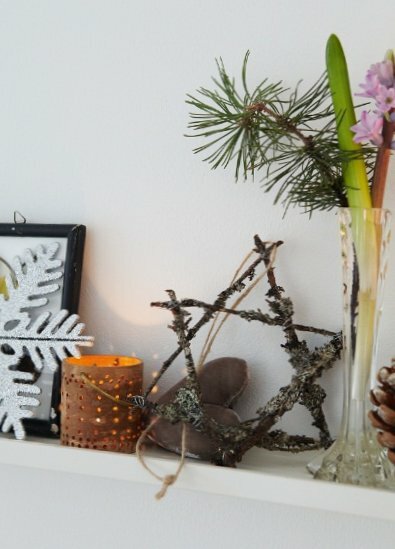 Despite the lack of curtains and blinds, half naked walls and furniture minimum, the current Danish house Dixit cosiness in the winter holidays. 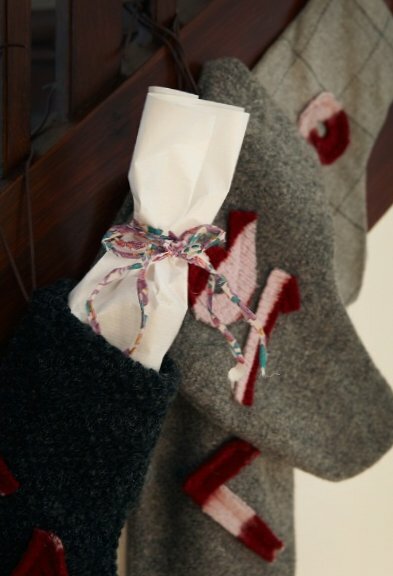 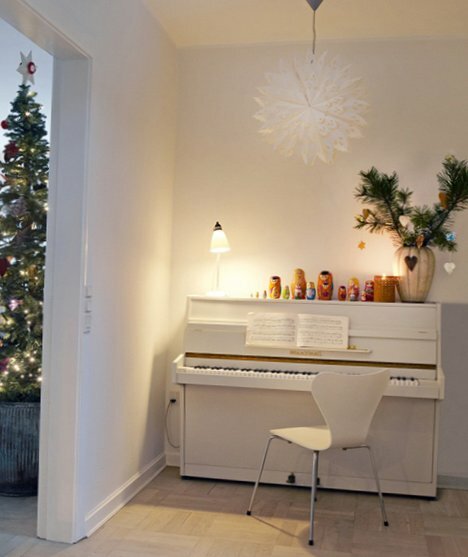 Even white piano, and then dressed in a pleasant new year’s decoration. 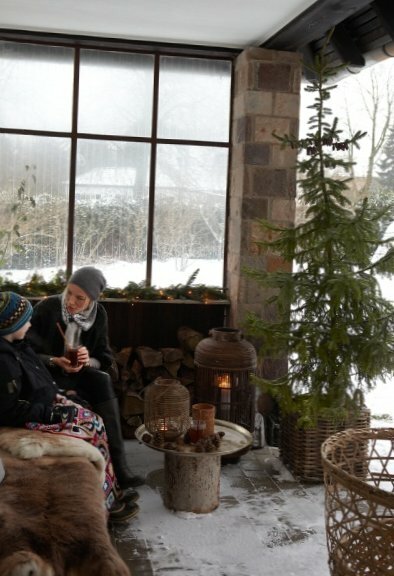 But most of all I liked the terrace with a Christmas tree.